Three-bedroom town residence, a short stroll from The University of Tasmania. 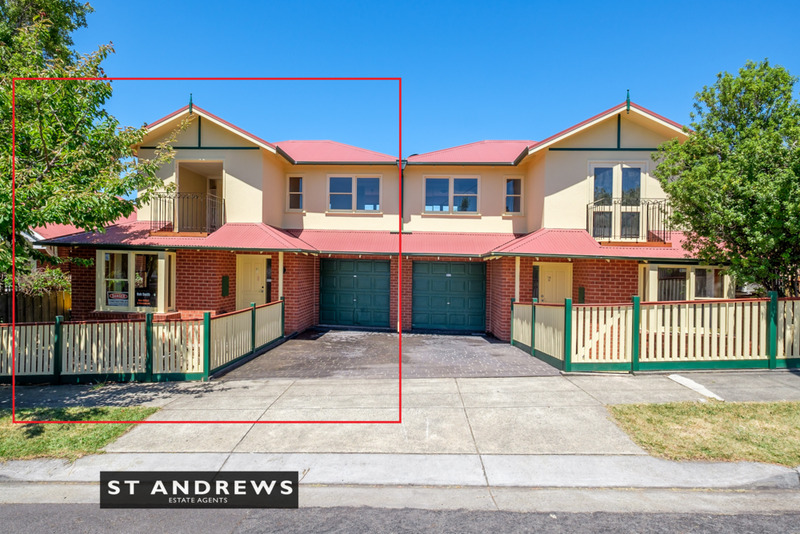 This two-storey townhouse is one of a pair and offers a compelling proposition to both owner-occupiers and investors seeking low-maintenance living, within a blue-chip residential setting, literally around the corner from UTAS’s Sandy Bay campus. At ground level the residence offers two distinct living areas with polished Tasmanian Oak flooring throughout. A formal lounge room with bay window and air conditioner, through to a kitchen-dining room featuring kitchen and French doors opening onto and overlooking the courtyard. A separate powder room and laundry completes the ground level. The upper level comprises three double bedrooms each with built in robes and Juliet balcony to main, and bathroom with separate bath and shower. Outside, the property offers an enclosed front garden, a wonderfully private and sheltered rear courtyard accessed off the kitchen-dining room, a single fully lined lock up garage with auto door and additional open parking. Positioned on a near level block, a mere four minute walk from UTAS, this is a sought-after location. Walk to Sandy Bay shops and waterfront. Easy access to multiple public transport (bus) routes, local primary schools, leading private schools and more. This property is ideal for those wanting to acquire a solidly constructed town house at a popular price point. The property offers broad market appeal: ideal for downsizers, young professionals and also investors wanting to capitalise on Hobart’s booming rental market- in large part driven by nearby UTAS’ record student enrolment numbers. Tas Water $1,060 per annum approx.